Savvy business owners and property managers know that a beautiful, well-kept landscape boosts property value, reduces energy costs, conserves water and leaves a lasting impression with visitors. Let the experts at Meadow Green Landscape help you create a landscaping plan that will help grow your lawn – and your business. Keeping your lawn green, lush and healthy is a critical component of a beautiful landscape, but it requires constant care and vigilance. Our lawn care experts will help your business look pristine with a consistently well-manicured lawn. A soggy lawn or water caused by soil erosion can cause serious problems with your property’s structure and landscaping. We offer a wide range of solutions to help you overcome and prevent these issues, including installation of a rain garden, hydroseeding, turf management, retaining walls and more. 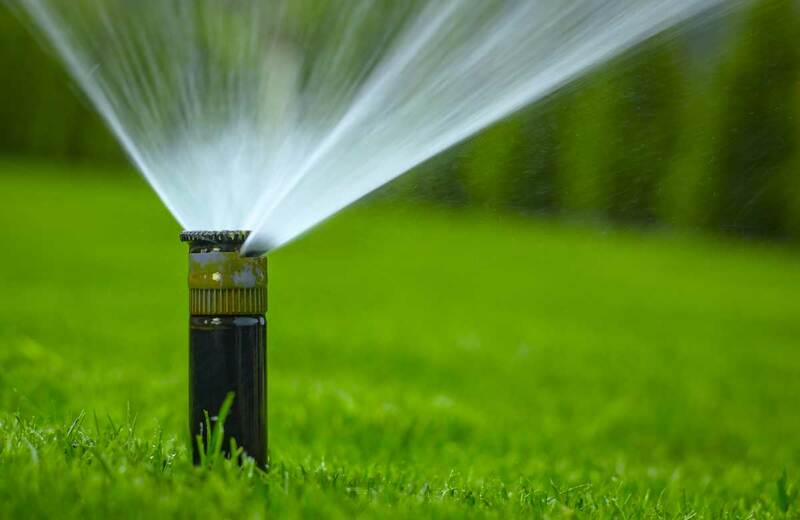 Your lawn’s health depends on the health of your irrigation system. We’ll handle everything, from installation, repair and maintenance to winterization and start-up, to ensure your lawn stays lush and vibrant. Maintaining a professional image begins with a consistent landscape maintenance program. Meadow Green will take care of every detail, including garden and lawn care, seasonal cleanup and snow and ice removal.